The 12th edition of the Cricket World Cup will be held in England and Wales for the first time since 1999. The 2019 tournament is made up of ten teams who will first play in a single group round-robin consisting of 45 individual matches between the 30th May and 6th July. This is followed by a semi-final and final stage, contested between the top four teams from the group stage. The final will be held on Sunday 14th July. Cricket is not a sport known for its betting offers but for bigger events like the ICC World Cup there are some very good value offers for both new and existing customers. 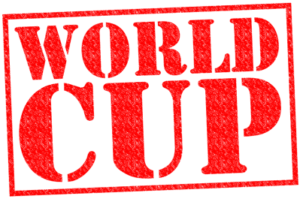 If you plan to bet on the World Cup, either ante-post or in play during the competition, then by taking advantage of some of the free bets, insurance and bonus deals on this page you can often enhance your winnings. This is the fifth time England will have hosted but they have yet to win the coveted title, Australia have won it no less than 5 times. England are ranked best in the world so there is perhaps no better opportunity than now. 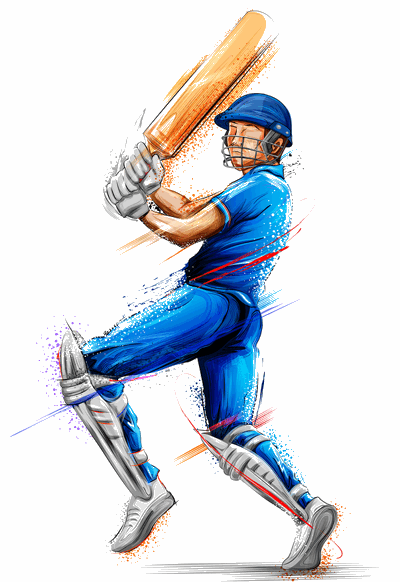 Further down you can find outright odds (updated throughout) along information about the format, schedule, statistics and history of the cricket World Cup. The 2019 ICC Cricket World Cup will see 10 teams compete, a reduction from the 14 teams that competed in 2011 and 2015. The hosts (England) along with the top 7 ranked teams in the ICC One Day International rankings qualify automatically. The remaining two places are decided through a world cup qualifier. Hosted in Zimbarbwae in January 2018 the bottom four teams in the ICC ODI Championship, that did not receive automatic qualification, along with the four highest teams in the ICC World Cricket League Championships and the two finalists from division 2 compete. As usual the ICC seem to make qualification for these two final spots as convoluted as possible. The ten teams in the qualifier tournament are split into two groups and play each other in a round-robin format with two points for a win and one point for no result or tie. After four matches are played the top 3 teams in each group advance to the Super Sixes stage. Teams carry forward results against each other within their groups (i.e. you enter the super sixes league with 2 games already on the board). You then play the 3 teams from the other group in a round-robin format. At the end the top two teams qualify for the World Cup. For the 2019 World Cup this was Afghanistan and the West Indies. The ICC World Cup consists of a group stage followed but two knockout stages. The ten finalists compete in one group, again in a round-robin format, each team playing each other once with two points for a win, none for a loss and one for no result or tie. The format has changed much over the years, rarely remaining the same for more than two world cups in a row. Following the 45 round-robin matches the top four teams progress to the semi-finals, with first playing fourth and second playing third. This is followed by the final. When you consider cricket as a sport you often think it has been around for many centuries. In reality professional cricket is only really as old as other sports such as football, with the first international test match taking place in 1875 between Australia and England. The teams met regularly to play The Ashes and in 1889 South Africa joined the test team party leading to further tours and even a triangular tournament in 1912. Other teams achieved test status over the ensuing decades but the game largely remained a bilateral arrangement with 3, 4 or 5 day tests matches between just two teams at a time. The old game of empire took on a new role after the second world war as many of Britain’s old colonies became independent and the sport of cricket became one of the most cohesive elements within the new Commonwealth of Nations. The sport had become a national game of many countries including Australia, India, Pakistan and the West Indies. 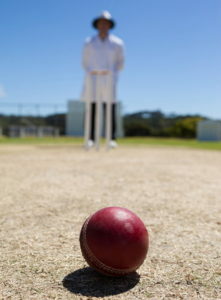 Despite a reinvigorated rivalry however test cricket was becoming increasing out of step with the faster modern world. In the 1960’s English county teams began to play a shorter form of the game allowing knock out tournaments to take place between several teams. This led to several one day competitions in the 1960’s and lead to a Sunday league being set up in 1969. 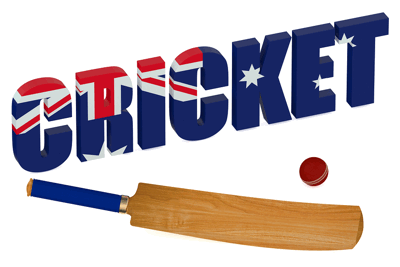 In 1971 the first one day international cricket match was played between England and Australia. The 40 over game (with 8 balls an over) came about by accident on the fifth day of a rained-off test match, the teams decided to play a short form game to compensate the fans for a lack of test action, and also to fill the time. The new short form game was an immediate success with fans and by 1975 an inaugural World Cup was organised, known as the Prudential World Cup (due to sponsorship). Held in England in June eight teams took part playing 60 over games (6 balls an over), they still played in whites using a red ball. Back then the format was two groups of 4 teams with the top two from each group progressing to a semi-final and final stage. West Indies won the first World Cup beating Australia by 17 runs at Lord’s. The 1979 World Cup followed the same format however by this time the ICC Trophy has been introduced as a means to select countries for the World Cup that were not test playing nations. Canada and Sri Lanka became the first teams to qualify this way. The West Indies again won, this time beating England by 92 runs at Lord’s. The late 70’s was also the time the World Series of Cricket competition was established. This set the benchmark for many of the differences we now see in ODI cricket, such as coloured kits, floodlit matches, the white ball, dark screens, more camera angles for TV, on pitch microphones and graphics. 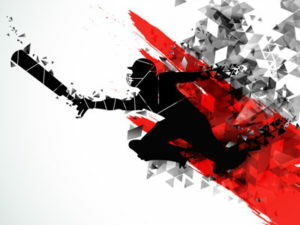 This helped set aside the shorter form of the game as a more vibrant, modern and fast paced version of cricket, which was later taken a notch further when Twenty 20 cricket was introduced. For the 1983 World Cup, again played in England, a fielding circle was brought in at 30 yards from the stumps with a new rule stating 4 fielders must be inside the circle at all times. India, initially priced at 66/1, won the World Cup beating double champions West Indies by 43 balls in the final. In 1987 the event was hosted outside of England for the first time with Pakistan and India sharing the responsibility. The number of overs was reduced from 60 to 50 to fit the shorter daylight hours in the summer nearer the equator, the format stuck however and has remained the same since. Australia won their first World Cup in a tense final beating England by just 7 runs. By 1992 the international form of the game had caught up with the changes brought in over a decade ago during the World Series. This meant the ball changed to white, coloured clothing was introduced, day/night fixtures were added and extra fielding restrictions introduced. 9 teams entered this time and the format changed to a single group round-robin followed by a semi-final and final. Despite a poor start Pakistan came out victorious with a 22 run victory over the eternal also ran team, England. In 1996 the tournament was again held in the sub-continent, split between Pakistan, India and Sri Lanka. 12 teams competed in two groups of 6 with the top four teams from each entering a quarter-final, semi-final and final knockout stage. Sri Lanka won their first world cup at their first attempt beating Australia comfortably by 7 wickets. Australia dominated the next three World Cups, winning the 12 team 1999 event in England, the 14 team 2003 World Cup in South Africa (that saw the introduction of the Super Sixes) and the 16 team, 4 group with a super 8 stage, tournament in 2007 held in the West Indies. During this period Australia went 27 matches unbeaten. The super 6/8 stage was an additional group stage before the knockout phase. This was abandoned in 2011 in favour of going back two two groups followed by a knockout phase. 14 teams contested this time with 4 teams from each group entering a knockout at the quarter finals stage. India, hosts along with Sri Lanka and Banglasesh (after Pakistan were stripped of their right to host due to a terrorist attack on the Sri Lankan team in 2009), won the event for the second time beating co-hosts Sri Lanka by 6 wickets. The 2015 Cricket World Cup was co-hosted by Australia and New Zealand with 14 teams and the same structure as 2011. The hosts met in the final but it was Australia who showed their class beating New Zealand by 7 wickets to claim their 5th title in 11 attempts. As mentioned earlier the 2019 event sees a reduction to ten teams going back to one single group stage with all 10 teams playing a round-robin and the removal of the quarter final. Despite making three finals and hosting the event for the fifth time England have yet to win the World Cup, could 2019 be their year? The World Cup trophy was actually different for from 1975 to 1996, with a bespoke version made each time the sponsor changed. 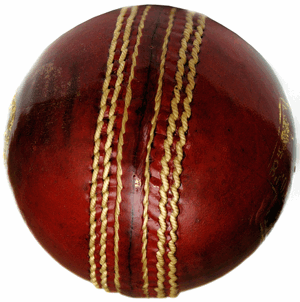 In 1999 a permanent trophy was created featuring a golden globe in the shape of a cricket ball held aloft by three silver columns shaped in the form of stumps and bails. It weighs a significant 11kg and stands 0.6 meters tall. The original trophy is kept by the ICC with an inscription of all previous winners. A replica trophy is given to each World Cup winner to keep.